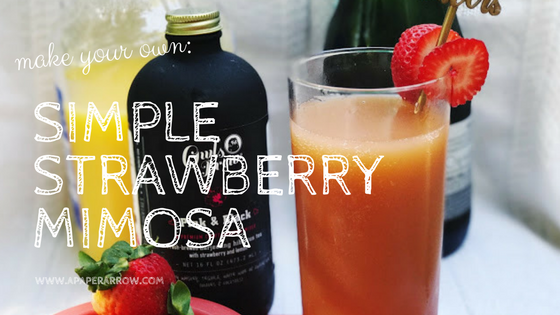 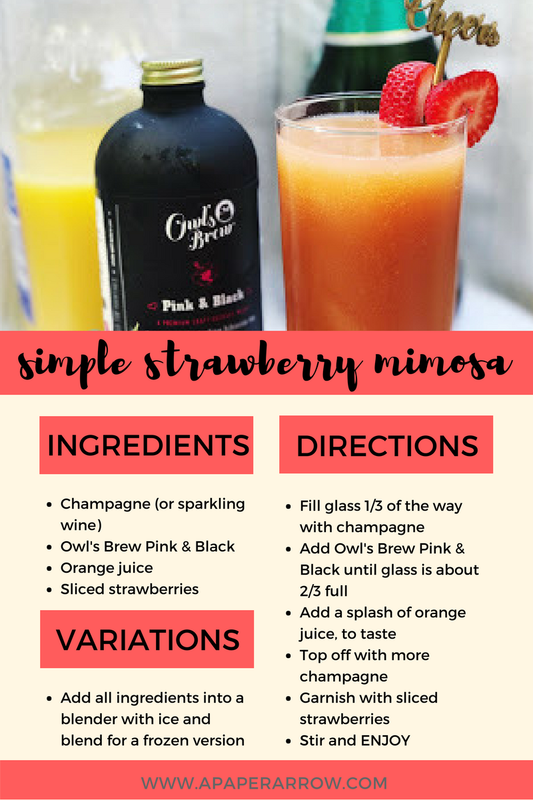 It's National Mimosa Day, so in honor of this wonderfully delicious holiday, I've partnered with Owl's Brew to share a delicious and easy-to-make mimosa recipe. 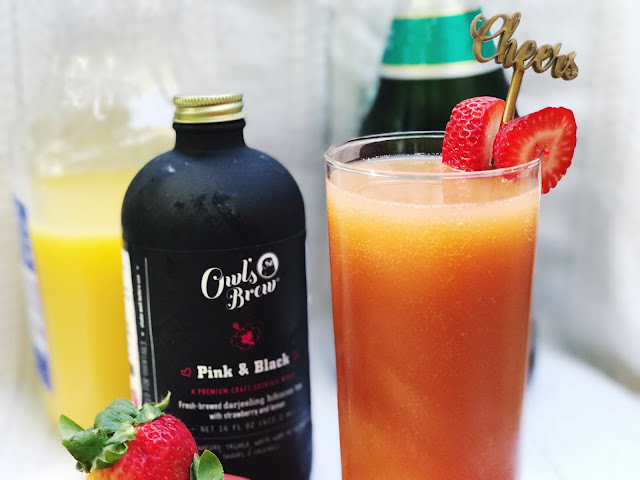 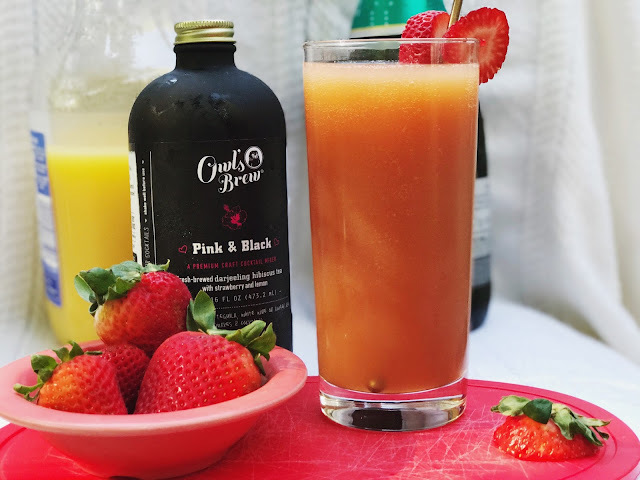 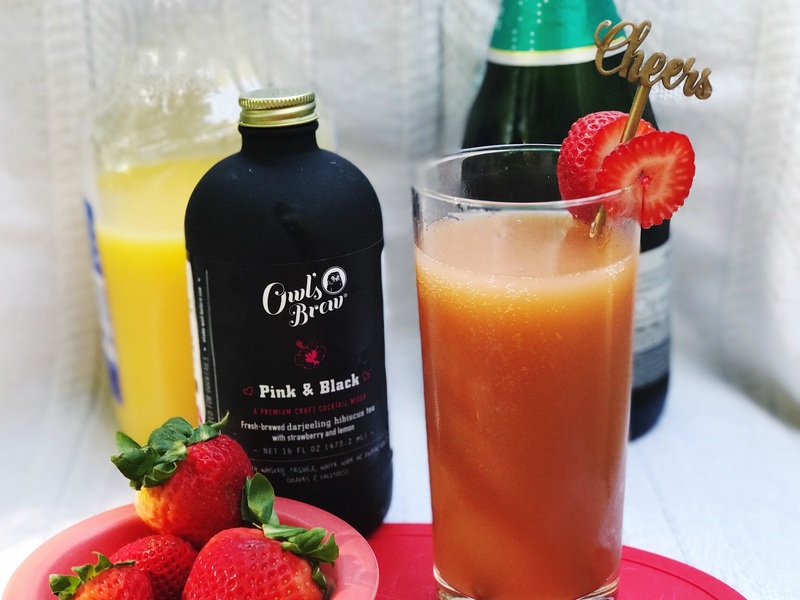 To make this simple strawberry mimosa, you just need a bottle of Owl's Brew Pink & Black (a blend of Darjeeling tea, hibiscus, strawberry, agave, & lemon peel), champagne or sparkling wine, orange juice, and fresh strawberries! For the full recipe, see below. 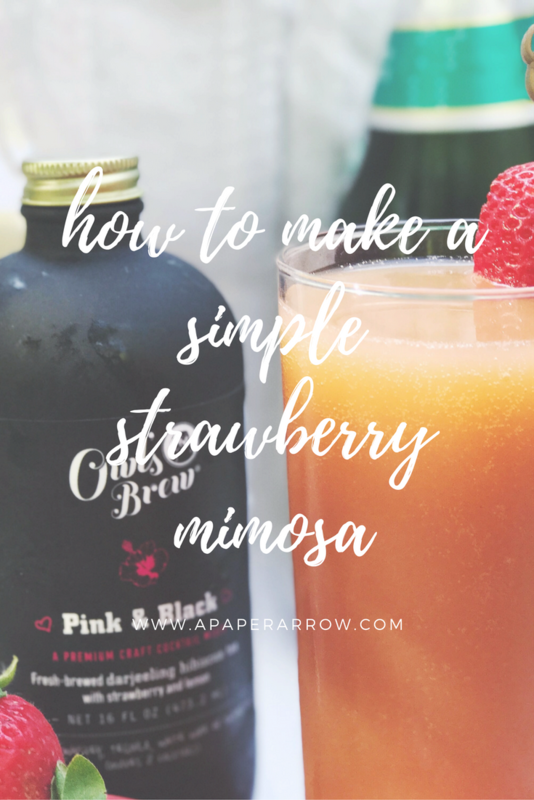 How do you drink your mimosas? 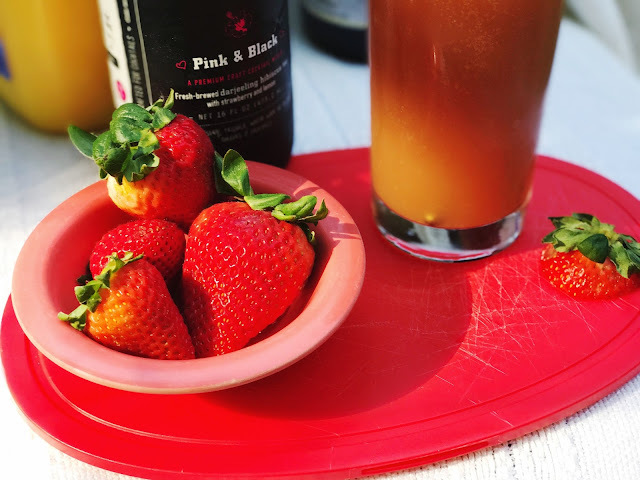 Will you be sipping on one today? This post is in collaboration with Owl's Brew. 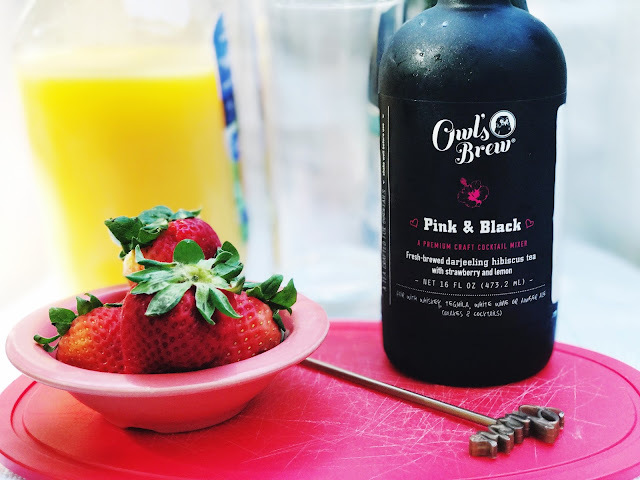 I was supplied with a free bottle of Owl's Brew, however, no other compensation was received. 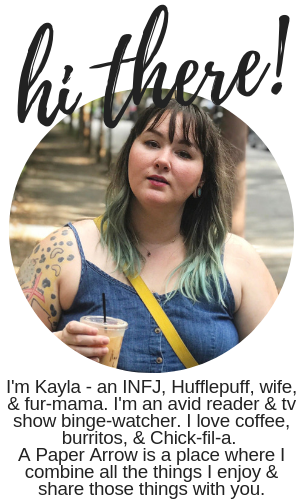 As always, all opinions are 100% my own.